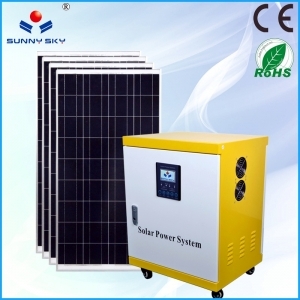 Solar Panel:800w,MPPT Solar Charge Controller:48v30a,Solar Inverter:48v2kw,Battery:12v150ah*4pcs,This solar power system is a hybrid solar power system, and electricity can be complementary, when the battery or solar energy when the priority to use the battery or solar power, when the battery is dead when the automatic switch to the mains, this feature can be in the LCD display on their own settings. 2KW Power Inverter with 48V50A MPPT Solar Charge Controller,Solar controller and inverter one machine is composed of solar inverter and MPPT solar controller, the inverter is pure sine wave inverter, the controller is MPPT solar controller, effectively enhance the 25% power generation. 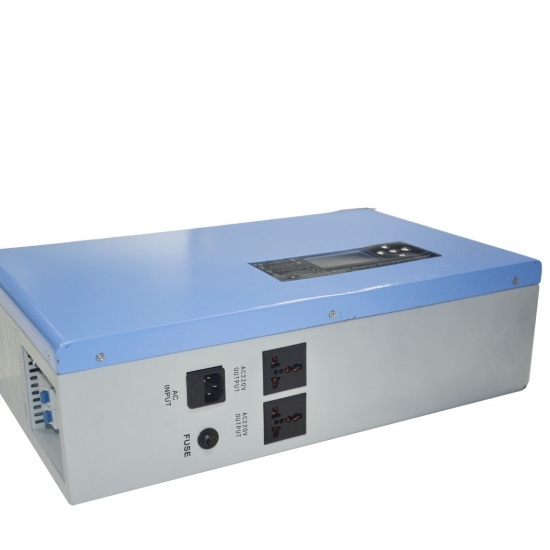 1KW Solar Inverter with 24V30A MPPT Solar Charge Controller,Solar controller and inverter one machine is composed of solar inverter and MPPT solar controller, the inverter is pure sine wave inverter, the controller is MPPT solar controller, effectively enhance the 25% power generation. 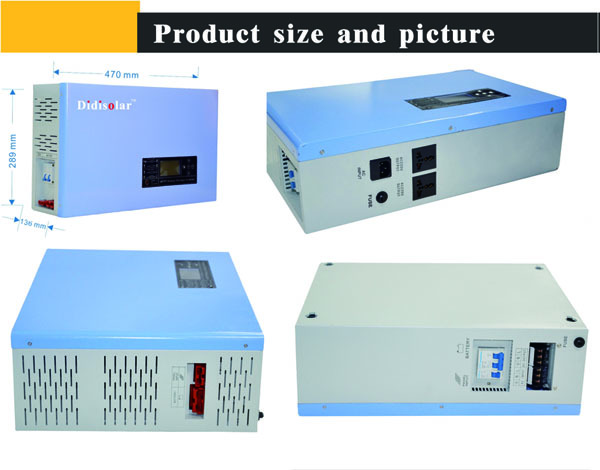 3KW solar power inverter have 3kw inverter and 48V30A mppt solar charge controller,can use fan,light,air conditioning Refrigerator, TV, washing machine, etc.It has four basic functions of UPS, charging, inverter and voltage regulation, as well as a humanized intelligent display. 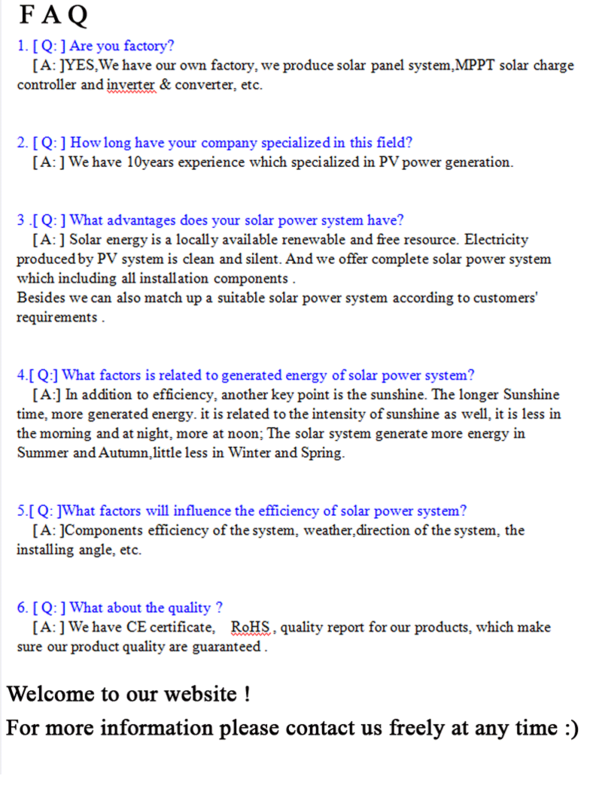 Solar inverter is our own research and development of the factory, has its own independent intellectual property rights products, he is currently China's small power inverter only an intelligent product, he can not only show how much solar power, you can also choose energy Mode and security model, allowing you to maximize the use of solar power, to save you costs, and he also has a fault record function, like the black box of the aircraft, you can record the operation of solar power system information, when the fault will tell The type of fault you are able to troubleshoot. 1. Use 100% sufficient transformer and advanced line design to ensure that the inverter can output at full load. 2. 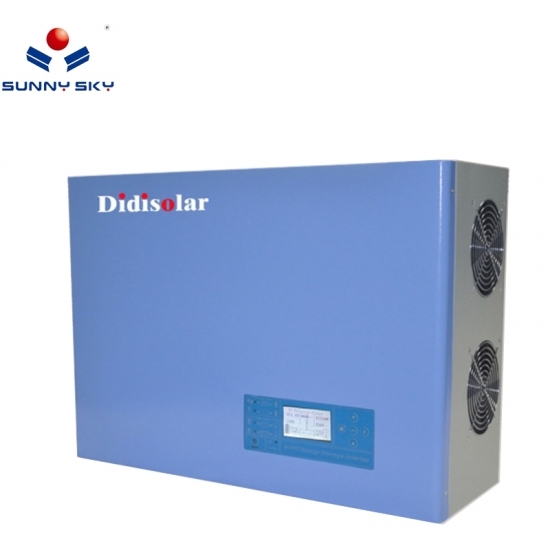 Have UPS, voltage regulation, inverter, charging four functions. 3. 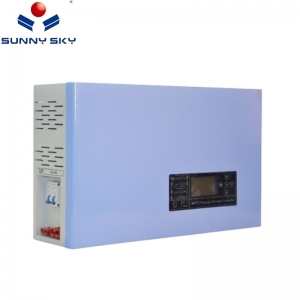 Intelligent LCD display, can display real-time parameters of the inverter and solar controller operation. 4. 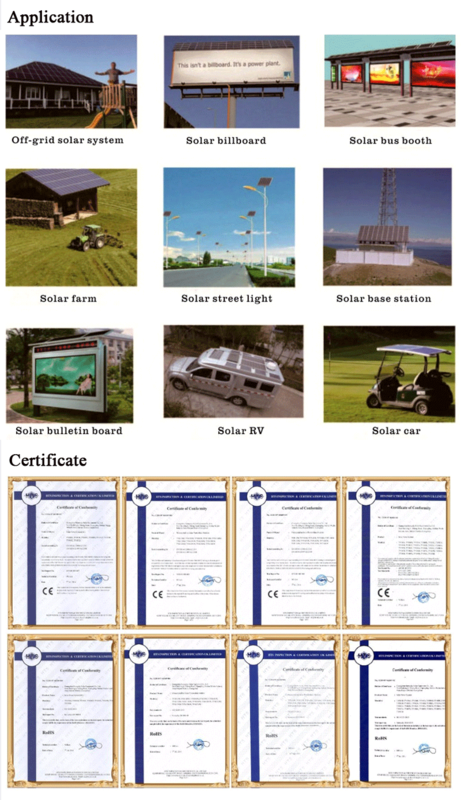 With fault record and fault reminding function, after the fault occurs, the fault type is directly displayed on the LCD screen, which is convenient for the user to eliminate various faults in the operation of the solar power system. 5. 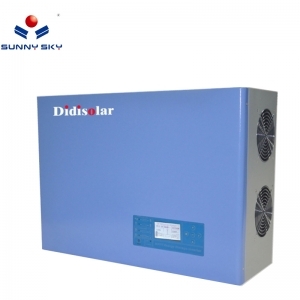 This solar inverter has a standby mode, the system will detect the output power, automatically enter the standby mode when there is no output, in this mode the power consumption is very small. 6. With unattended mode, as long as the battery has electricity, the inverter will automatically start. 7. 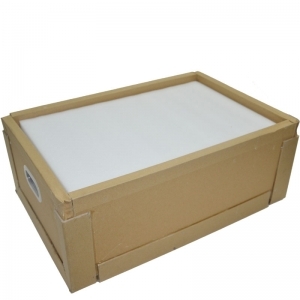 Using a toroidal transformer, the loss is small and the efficiency is high. 8. 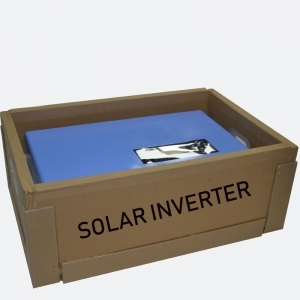 The utility power supply mode and the solar energy priority power supply mode can be selected to meet the diversified needs of users. 9. You can choose the mains charging mode and the mains and solar energy charging mode. 10. 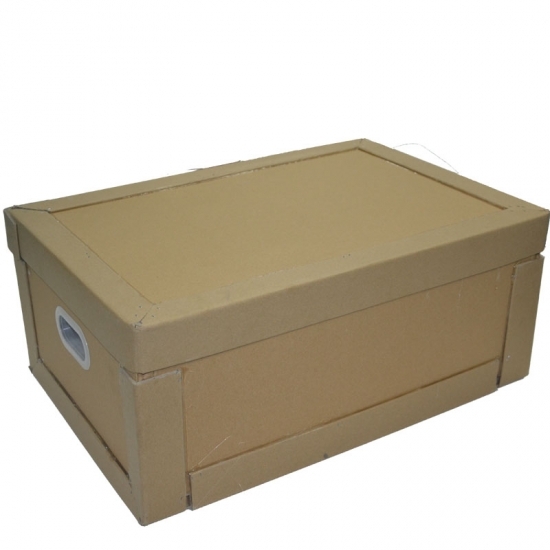 Support lithium batteries, lead-acid batteries and other batteries. 11. The user can adjust various charging parameters and discharge parameters through the display. 12. 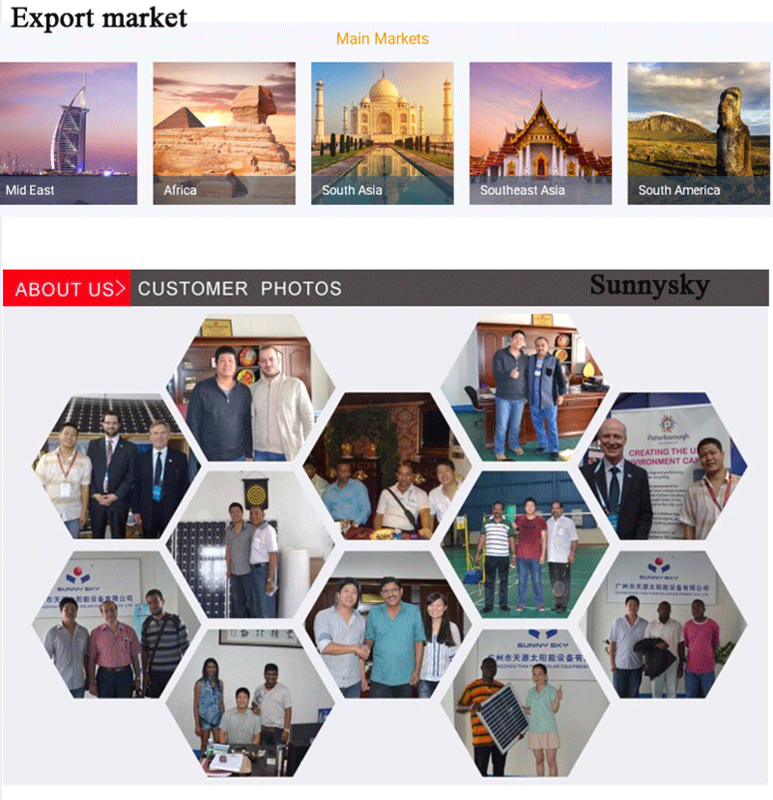 There is a mobile phone APP, you can browse the various parameters of the inverter operation through the mobile phone. 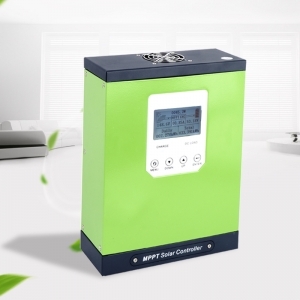 1.5KW Solar Inverter with MPPT Solar Charge Controller,Solar controller and inverter one machine is composed of solar inverter and MPPT solar controller, the inverter is pure sine wave inverter, the controller is MPPT solar controller, effectively enhance the 25% power generation. 5KW Solar Inverter with 24V30A MPPT Solar Charge Controller,Solar controller and inverter one machine is composed of solar inverter and MPPT solar controller, the inverter is pure sine wave inverter, the controller is MPPT solar controller, effectively enhance the 25% power generation. 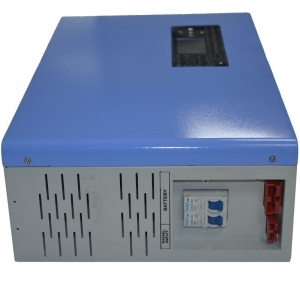 10KW Solar Inverter With MPPT Solar Charge Controller,Solar controller and inverter one machine is composed of solar inverter and MPPT solar controller, the inverter is pure sine wave inverter, the controller is MPPT solar controller, effectively enhance the 25% power generation. This is an intelligent hybrid solar inverter, he can tell you every day power generation, the cumulative power generation, he can tell you, every day when the maximum power generation, the battery left the amount of electricity, you can through him The choice of electricity priority or solar priority, electricity similar to UPS, when there is electricity, the use of electricity, there is no electricity when the use of solar power, switching process is only 3 milliseconds, so you can ensure that the situation There are still electricity can be used, and even neighbors will find you to borrow electricity to use, is not it great? 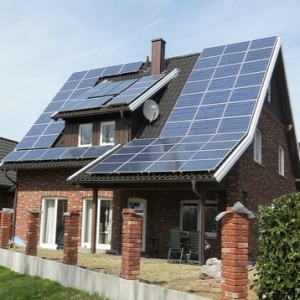 Solar energy is the first when the battery when the electricity, the direct use of solar power, when the solar energy is no electricity to use the battery inside the electricity, the two are no electricity, and direct use of electricity, so you can ensure that you maximize the use of solar energy Made electricity. Why he is intelligent, because he will protect themselves, the output short circuit, the battery undervoltage overvoltage, output overload, etc., he will stop working, and tell you where is faulty, when you handle the fault, he You can start working, and these fault records will be statistics down, you can look at a week or a month, this can improve product life, at the same time, he will be through the WIFI or GPS to run the information sent to our company's cloud platform, we After receiving the message will send you an email to remind you more attention to the health of our solar power system, so that he remained in a healthy state, for you to create greater efficiency. This is an intelligent hybrid solar inverter, he can tell you every day power generation, the cumulative power generation, he can tell you, every day when the maximum power generation, the battery left the amount of electricity, you can through him The choice of electricity priority or solar priority, electricity similar to UPS, when there is electricity, the use of electricity, there is no electricity when the use of solar power, switching process is only 3 milliseconds, so you can ensure that the situation There are still electricity can be used, and even neighbors will find you to borrow electricity to use, is not it great? 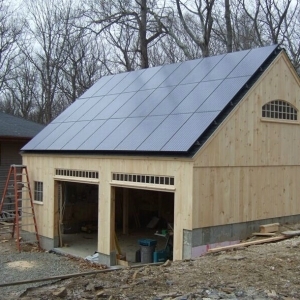 Solar energy is the first when the battery when the electricity, the direct use of solar power, when the solar energy is no electricity to use the battery inside the electricity, the two are no electricity, and direct use of electricity, so you can ensure that you maximize the use of solar energy Made electricity. 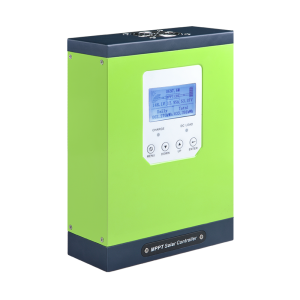 3KW Solar Inverter with 24V30A MPPT Solar Charge Controller,Solar controller and inverter one machine is composed of solar inverter and MPPT solar controller, the inverter is pure sine wave inverter, the controller is MPPT solar controller, effectively enhance the 25% power generation. 12V24V36V48V Auto 20A solar MPPT controller is its own research and development, their own production of a new generation of intelligent MPPT solar controller, can automatically identify 12V24V36V48V voltage, user-friendly LCD display can display daily power generation, cumulative power generation and other information, MPPT tracking accuracy of 99 % Or more, more than 98% efficiency, automatic tracking once per second, than most of the controller on the market should be faster, and have a sound protection.